This past Victoria Day long weekend, a group of artists [disclaimer: myself included] took to the streets to change the cityscape in straightforward, impactful ways. 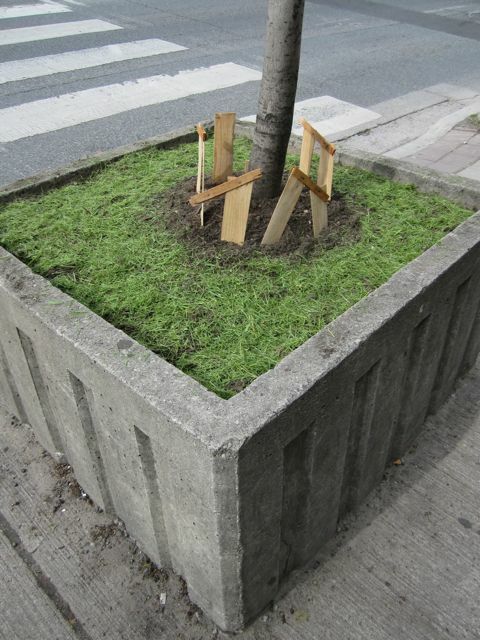 Depending on your generosity – oft or totally – neglected city tree planter boxes found themselves the subject of interventions all around town as a part of project entitled Outside the Planter Boxes. 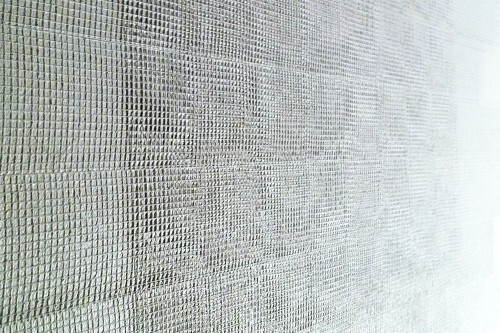 Organized by Sean Martindale in putting his FEAST grant to work, the scheme puts the simple back in the sublime. With no guidelines other than the starting point of the planter, a great range exists in artists’ media, mixing artificial and natural elements, as the planter boxes themselves do, not ironically. Check out some of the already published photos – the story was picked up quickly by the Torontoist and blogTO, and even Global News took note. 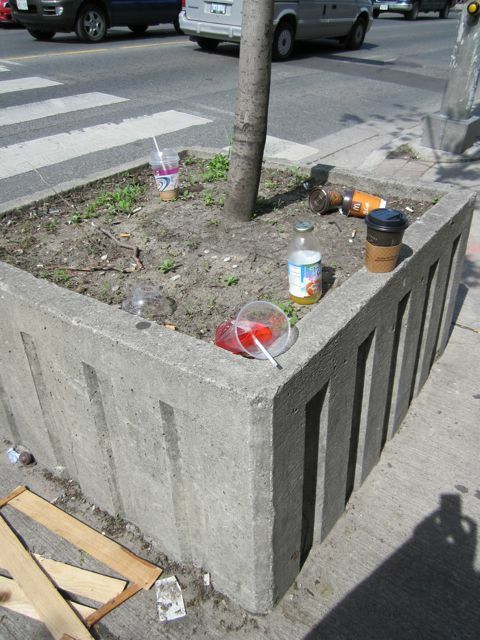 I volunteered as a set of hands and my intervention at its most basic was cleaning garbage out of planters all along Bloor West from Lansdowne to Dufferin. Number one contribution from Torontonians – chewing gum. Followed in rapid and close succession by cigarette butts, coffee cups, chocolate bar wrappers, and in a strange and grizzly discovery in the planter outside the House of Lancaster some kind of jumbo animal bone [human or pig, maybe, remains TBD, but by someone else – I couldn’t bring myself to touch it further despite thick rubber gloves and had to leave it for the bouncers to identify]. When I came across the following planter, the abandoned crate alongside it naturally suggested the final design. The grass clippings were imported from a freshly mown lawn in North York.